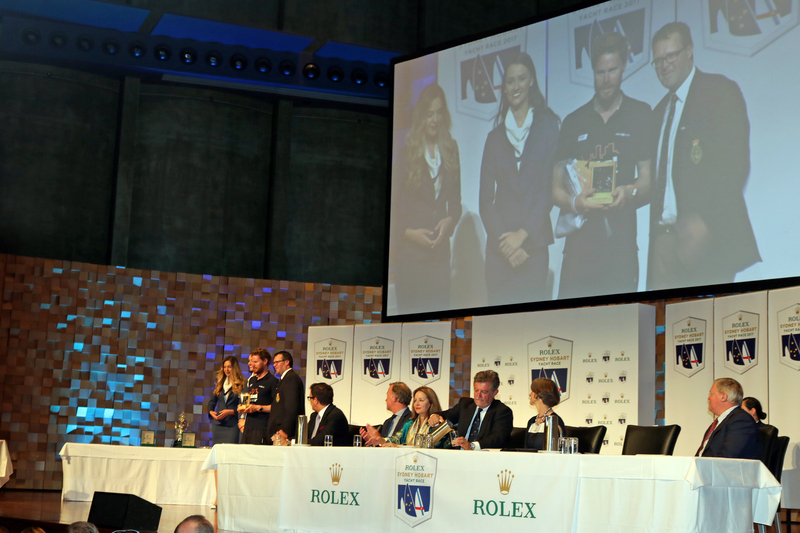 HotelPlanner.com has scooped the pool at the Rolex Sydney Hobart Yacht Race Prize Giving, with the Clipper Race team awarded not only the plaque for winning the Clipper 70 Class, but also the Rani Trophy for Most Meritorious Performance. Conall Morrison, the Skipper of HotelPlanner.com, was given a standing ovation when he was given the Rani Trophy, which was judged by the Rolex Sydney Hobart Yacht Race Committee, and awarded by the Governor of Tasmania, Her Excellency Professor the Honourable Kate Warner AM. IMAGE: Conall Morrison collecting his award during the Prize Giving in Hobart. The vocal crowd in Hobart was soon back on its feet when Conall returned to the stage a short time later to collect the trophy for first place in the Clipper 70 Class. “It’s an awesome feeling, like a little kid’s dream come true,” says Conall. “The whole team worked so hard during the race and all our time put into safety has paid off. I definitely feel sorry for Wendy and Sanya Serenity Coast who has had to give up their first place again, but I think it is very deserved for everyone in my team. We sailed a good race, kept our eyes on the wind and changes, did loads of sail changes - especially near the end - and really pushed. IMAGE: The HotelPlanner.com team with the CYCA Commodore John Markos. HotelPlanner.com won the Rolex Sydney Hobart Yacht Race Clipper 70 Class after being granted a 120 minute redress for going to the assistance of a fellow competitor shortly after race start on Boxing Day. The Commodore of the Cruising Yacht Club of Australia, John Markos, made special mention of the HotelPlanner.com team, commending them for retrieving the man out of the water in 15 minutes. 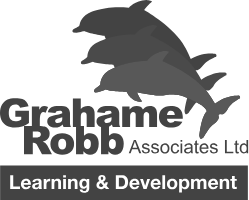 Round the world crew member on board HotelPlanner.com, Graham Hill, says: “Conall has drilled us on MOBs and we understand what we have to do. Everything came together as it should have done. We knew our places, we knew our jobs, and we just put it into practise. Fellow round the worlder Adrian Hemmes, who was the rescue swimmer during the recovery, adds: “Basically what happened is the Clipper Race training kicked in and everything worked like clockwork to be honest. IMAGE: Wendy Tuck with the Jane Tate Memorial Trophy. 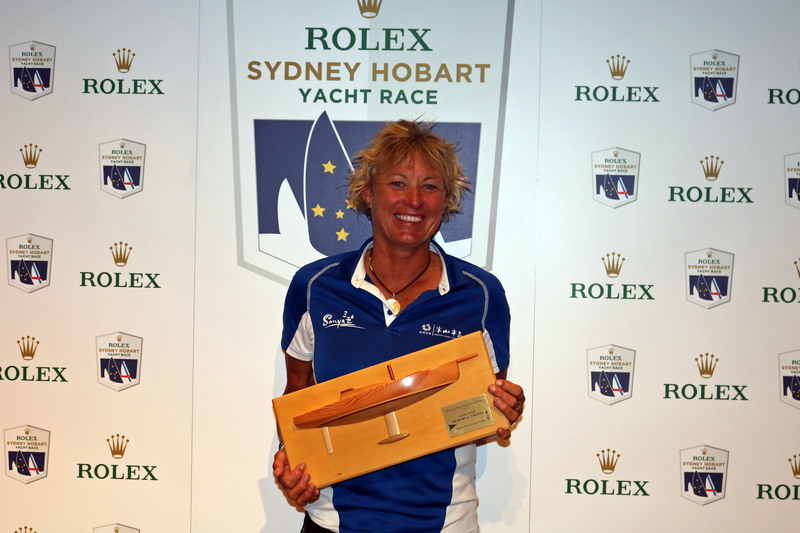 Wendy also collected the Jane Tate Memorial trophy, named after the first woman to complete a Rolex Sydney Hobart competitor in 1946, when she won the Clipper 70 Class in 2015 as Skipper of Da Nang – Viet Nam. But the Sanya Serenity Coast Skipper had to fight hard for the honour this time around. Zoe Taylor, the Skipper aboard Grace O’Malley, entered the Derwent River first but was overtaken by Wendy and her team just four miles from the finish. IMAGE: Garmin Skipper Gaëtan Thomas collecting his award for third place. Wendy and Garmin Skipper Gaëtan Thomas were also given pennants for coming second and third in the Clipper 70 Class, whilst Invictus Games Sydney 2018 GAME ON Skipper Will Parbury was also presented with the Oggin Cup for being the first Armed Services yacht on corrected time. IMAGE: Invictus Games Sydney 2018 GAME ON Skipper Will Parbury with the Oggin Cup. The Clipper Race teams will enjoy the wonderful hospitality of Hobart for a few more days before getting back down to business to prepare for the third and final race of the All-Australian Leg 4. The fleet will depart Hobart at 1100, local time, on Friday 5 January to race up the east coast of Australia to Airlie Beach, where the crew will be welcomed by the inaugural Whitsundays Clipper Race Carnival. For more information about the event, which runs from 13 to 29 of January, see the Whitsundays Clipper Race Carnival website.